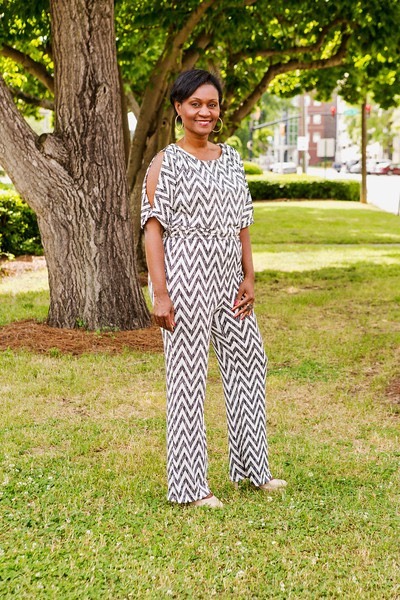 Hi, I’m Latrina Patrick, the founder of Plant Food ROCKS, a nonprofit organization that promotes the benefits of following a plant based diet and how plant food Reduces the Onset of Cancer and Kills Sickness (ROCKS)! I am an Integrative Nutrition Health Coach, Health & Wellness Champion, and blogger! In short, I love teaching people about nutrition and fitness, and ultimately inspiring them to live their best life through optimal health. I began my vegan lifestyle nearly a decade ago and it has changed my life. A simple shift in my diet has transformed me into a health conscious, environmentally friendly, spiritually connected being. My passion for living a healthy lifestyle has evolved into a greater sense of purpose that goes beyond my personal life. Through Plant Food ROCKS, I desire to impact the lives of generations to come. Here are the fundamentals of what Plant Food ROCKS is all about. Create a culture that believes food is thy medicine and thy medicine is thy food. Create a culture that promotes healing by seeking its medicine from the “FARM-acy” and NOT the Pharmacy. Create a culture where access to organically grown, whole foods isn’t just a privilege for the wealthy, but an option for ALL. Cultivate a generation of school-aged children who are educated about the benefits of a plant based diet and are empowered to grow their own food and motivate their families to do the same. Collaborate with residents, businesses, local government, and faith-based organizations located in or serving low-income, impoverished, and food desert communities to create community gardens. Collaborate with schools serving low-income kids in underserved neighborhoods to create school gardens. Create a mobile farmers market that provides affordable, locally grown produce to low- income communities. I received my training as an Integrative Nutrition Health Coach from the Institute for Integrative Nutrition (IIN). During my training at IIN I studied over 100 diet theories, practical lifestyle management techniques, and innovative coaching methods with some of the world’s top health and wellness experts, including Dr. Andrew Weil, Director of the Arizona Center for Integrative Medicine; Dr. Deepak Chopra, leader in the field of mind-body medicine; Dr. David Katz, Director of Yale University’s Prevention Research Center; Dr. Walter Willett, Chair of Nutrition at Harvard University; and many other leading researchers and nutrition authorities. Prior to entering the Health & Wellness field, I consulted with nonprofit organizations to help them obtain grant funding. I also worked as a news reporter for approximately 10 years. I mostly worked in TV news, but have also worked for radio and print. I obtained my Bachelor of Arts Degree in Radio/TV/Film from Clark Atlanta University and my Masters Degree in Business Administration from Troy University in Phenix City, Alabama. I was born and raised in Americus GA, and currently reside in Jacksonville, Florida. In my free time I enjoy hiking, going to church, volunteering, trying new vegan friendly restaurants, and doing anything that gets me outdoors.